Empirepcrepair.com – Serving Lockport, Amherst and surrounding areas since 2008! Learn about our monthly service plans starting at $6/Month Become Worry Free Today! New monthly services now available! Click any of the icons below to see more details. The basic coverage essential to keeping your computer running fast! Keep your system, updated, optimized and virus free! A truly worry free experience! Includes unlimited data backup, Anti-virus, and more! Just need something looked at one time? Let us work our magic. Come see why so many people use Empire PC & Repair as their preferred computer service company. We do all the work so you don't have to worry. With the power of the Internet, we can help you no matter where you are; in an instant. For as little as a cup of coffee a day, we can maintain your computer-keeping it up to date and free from any viruses. Most of our services are completed the following day. Is your system infected? Are you unable to connect to the Internet on your favorite device? We can help. Looking for someone to help with your business computers? 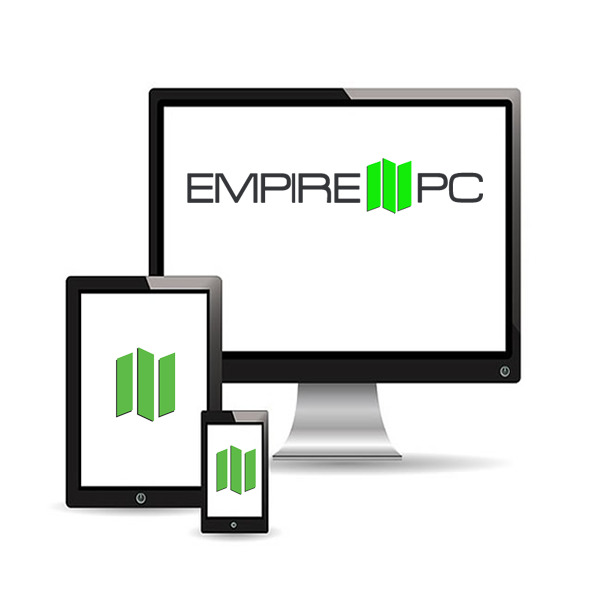 Over 100 local companies use Empire PC's experienced technicians to help. Click the button below to read more about how we can help. Regardless if you're calling from home or from your work, get immediate assistance.